When it comes to reporting project status, project managers have to make tough decisions about what to report, when to report it, and how to report it. These decisions are more challenging during crisis situations, when careful crisis communication becomes a very sensitive component of any status reporting. You feel the sensitive nature of crisis communication when you prematurely report bad news to your sponsors and they panic needlessly. The consequences can be costly as you end up investing an enormous amount of time and energy feeding your sponsors’ sometimes insatiable appetite for information and status updates. As David Rock argues in his article “A Hunger for Certainty”, our sponsor’s reaction should not come as a surprise to us. A sense of uncertainty about the future generates a strong threat or ‘alert’ response in our limbic system. David argues that “when you can’t predict the outcome of a situation, an alert goes to the brain to pay more attention. A threat response occurs”. He continues that to reduce this sense of uncertainty, we crave information for the sake of it. The easiest crisis communication approach for project managers is to simply report everything, to everyone, all the times. This, unfortunately, turns the PM into nothing more than a project journalist. However, even journalists are selective about what they report on. Our organizations don’t need journalists. What they need are project leaders who exercise judgment. One key ingredient of judgment is a real knowledge about the organization and its tolerance level for ambiguity during crisis. 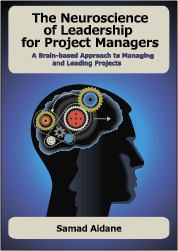 Do your sponsors trust their project managers and project teams and give them time and space to resolve issues or do they have the tendency to panic and react to ambiguity by second-guessing and micromanaging you and your team? Stress is the enemy of creativity. Do your sponsors tend to demand action and put undue pressure on you and your team to show immediate results, when what you actually need during crisis is time to reflect and think creatively and with mental clarity. Can the piece of information be misused? Never underestimate the power of a good piece of information in the wrong hands. Don’t take chances. In a politically charged environment, a politically motivated stakeholder can use a piece of information, prematurely reported by the project manager, to harm the project. Whether the harm is intentional or not, you cannot afford to waste valuable time in damage control. How useful is the piece of information to the sponsors. Will this information actually help your sponsors help the project? If you are not sure, then don’t overwhelm them with useless information. They may react in a way that can actually exacerbate the problem. Will the information lead to the “Cry Wolf” Syndrome, if you don’t allow adequate time for analysis and the information turns out to be unreliable? If you are not careful, your sponsors can begin to ignore you due to the sheer frequency of false and relatively unimportant alarms you report to them. This can have a devastating impact on your credibility and your Senior Manager’s trust and confidence in you to manage important and high visibility projects. In a recent blog post titled “Do Project Reports Really Give The Real Picture on Project Progress?” on www.pmstudent.com, Susan de Sousa said “Sometimes being economical with the truth can be an extremely good idea as it allows time for the issues to be resolved without unnecessarily raising the alarm bells with project sponsors”. I could not agree more with Susan. In my experience, being economical with the truth means providing the right information, to the right stakeholder, at the right time. During times of crisis, doing this right will require judgment. It will determine whether you will have time and energy to invest in actually helping your team resolving the crisis at hand or if you will be consumed by the unproductive and never ending chains of emails and escalation meetings. I would love to hear your take on how you handle crisis communication. Please leave me a comment. An excellent post which I greatly enjoyed reading. Project reporting is such an overlooked area of IT project management. As such, too many project manager’s fail to realise that it gives them the power and time to do their jobs; which is to deliver the project. But it is also a poisoned chalice. Get the level of reporting wrong and not only will the project fail, but you will be heading the wrong way down the career ladder. Project Manager’s therefore need to strike a balance between reporting everything, and reporting what is required. This comes with the experience of managing the expectations of project management stakeholders and also from being consistent when completing the weekly project management report. As we both know, there are no short cuts in this profession. However by being politically savvy and understanding when to panic, project managers can ensure that they continue to tread that fine line which is required to communicate effectively upwards, whilst ensuring that they have the time to do their job. Great post. I have learnt about this the hard way. In my personal opinion, it is not so much about “how economical we want to be with the truth” but it is mroe about how we say the truth. As all of us would agree, no sponsor would like surprises. They want to be informed through out the process and should ideally see it coming before we say there is a crisis. One other aspect I have used is to identify the stakeholder from the sponsor group who will work with you. If we are able to do that, notify them upfront, take them into confidence and discuss potential alternatives in confidence, I think it gives us the opportunity to handle the crisis better and also takes the pressure of the Project Manager. Sarat, you make great points about the importance of building trust relationships with our sponsors and stakeholders so we are able to deliver bad news. And you are right that we have to learn how to deliver bad news so people are not surprised. We also need to help project managers in those situations where stakeholders do not have the capacity to handle bad news (the truth) and as a result require a lot of efforts and heavy lifting on the part of the PM. This is where we can help PMs to be very tact and savvy so they are delivering the right information, to the right stakeholder, at the right time, and in the right way. Thank you for taking the time to read and comment and look forward to your feedback and continuing the conversation.